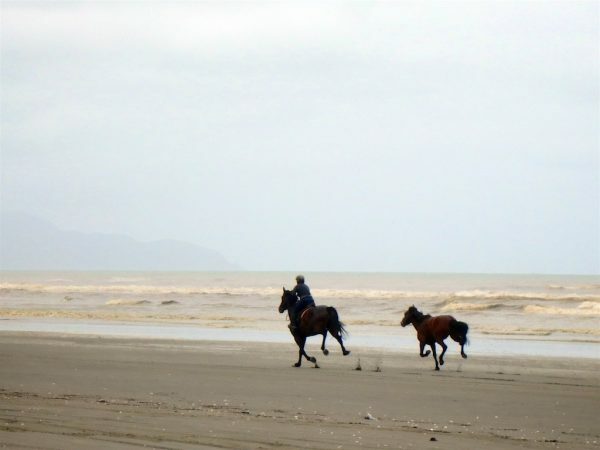 The village and the beach are popular with dog walkers and horse riders. Drivers: please slow past horses and give them a wide berth. 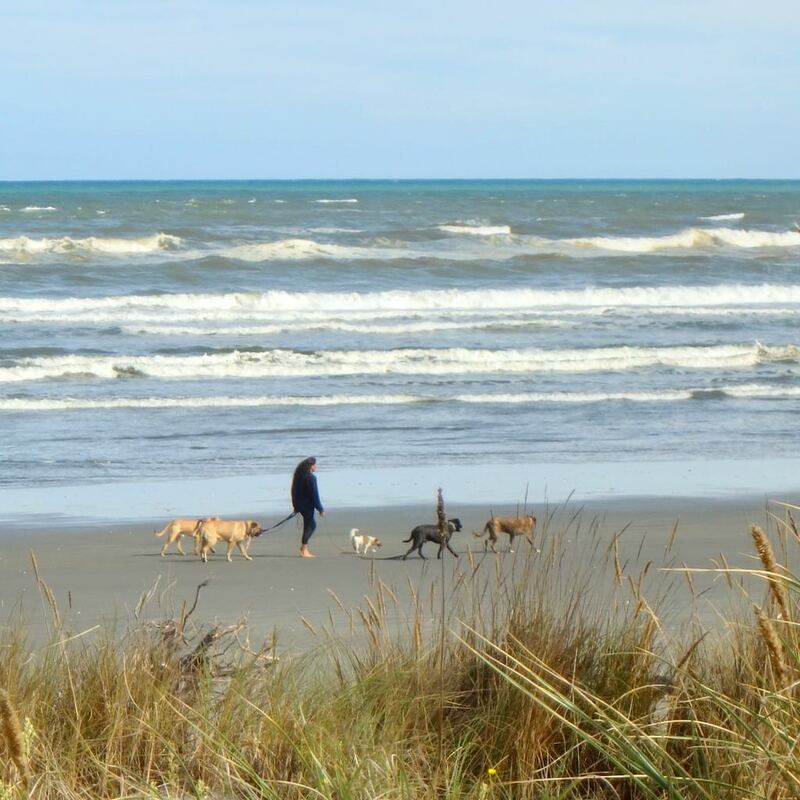 If you’re driving on the beach go slowly and be alert for dogs who could be anywhere between the dunes and the water. See below for what dog owners and horse owners need to know. dogs must be under control at all times. Don’t let your dog wander unaccompanied and keep an eye on it. don’t let your dog cause a nuisance to other people or animals. pick up and remove your dog’s poop. on the streets and in Hank Edwards Reserve your dog must be on a leash. 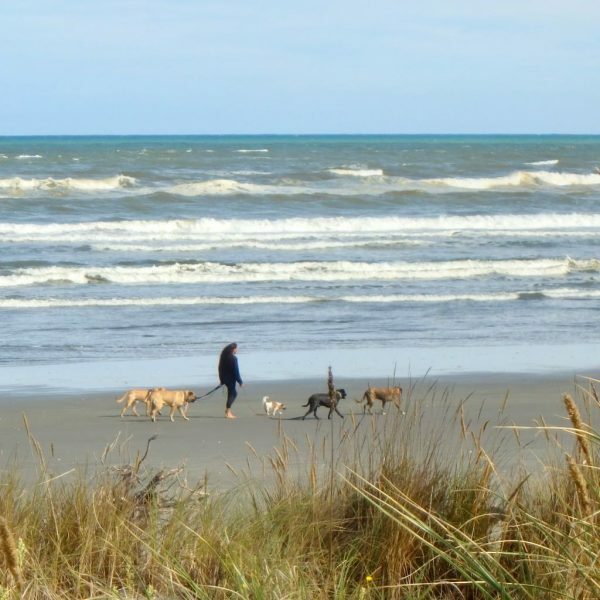 on the beach your dog may be off-leash, but must be under your control. There are dispensers with free dog poop bags at the footbridge and vehicle entrance, and rubbish bins at all beach entrances. you may not ride or lead your horse on a footpath or berm if it causes damage. you must remove your horse’s poop from public places. Most people in this area probably don’t mind the odd pile of horse poop on the road, but please move your horse’s poop if it’s on a walking track or path, such as the tracks to the beach.